Many tabs in the project properties window include two combo boxes at the top of the tab, allowing selection of Configuration and Platform. This window allows you to specify a set of property values for each combination of Configuration and Platform. 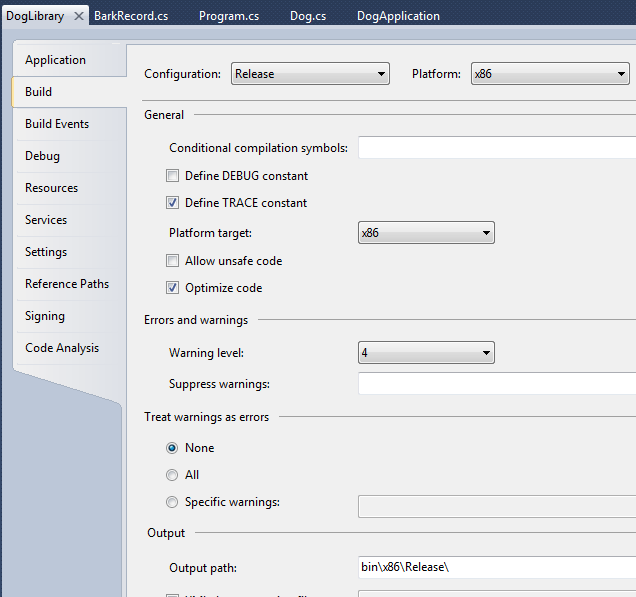 For example, you might have Debug and Release choices for Configuration, as well as x86 and x64 choices for Platform. You could then specify a different value for Output path for each combination of Configuration and Platform, so that you could save four sets of binaries.